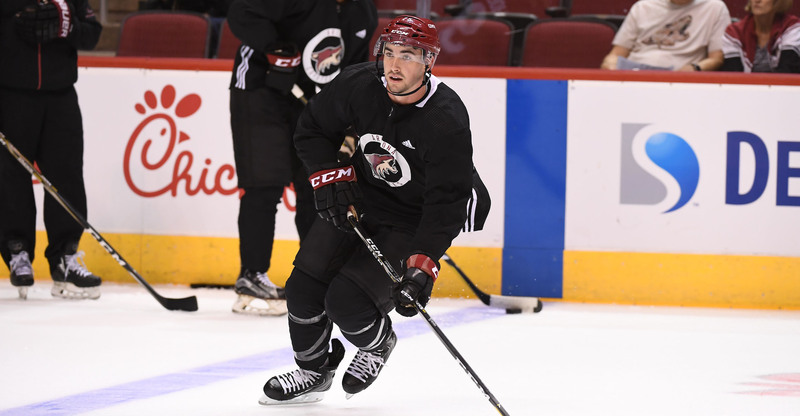 GLENDALE, ARIZONA - Arizona Coyotes President of Hockey Operations and General Manager John Chayka announced today the schedule for the Coyotes 2018-19 Rookie Camp. The camp will begin on Friday, September 7 at 11:00 a.m. at the Scottsdale Ice Den and will conclude with the 2018 Vegas Rookie Faceoff in Las Vegas from September 8-11. The rookie camp practice at Scottsdale Ice Den on Friday is free and open to the public. The Coyotes rookie camp will include first round draft choices Barrett Hayton (2018) and Pierre-Olivier Joseph (2017). In addition, top prospects Kyle Capobianco, Tyler Steenbergen, Lane Pederson, Cam Dineen and Brayden Burke will also attend. 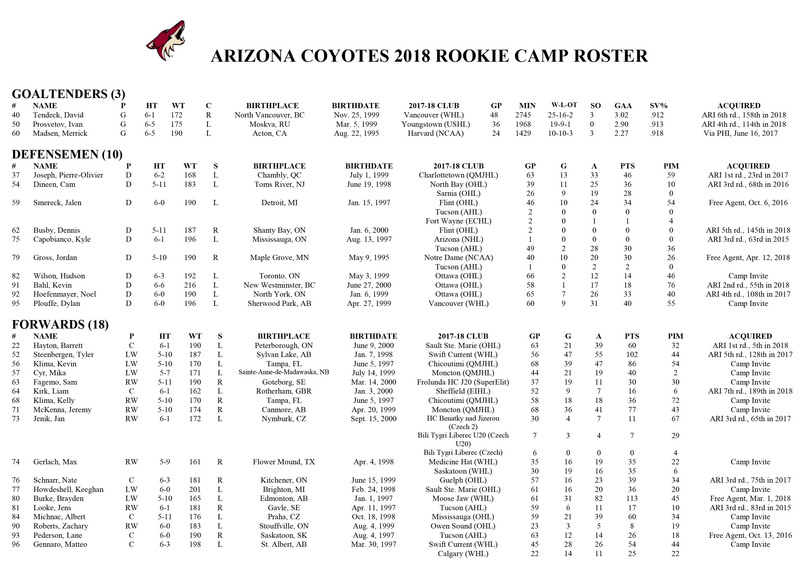 The following is a complete schedule of events for the Coyotes 2018-19 Rookie Camp.